I made the Octocorn have a droopy head because that’s gotta be a lot of weight. It’s like having an extra skull on its skull. 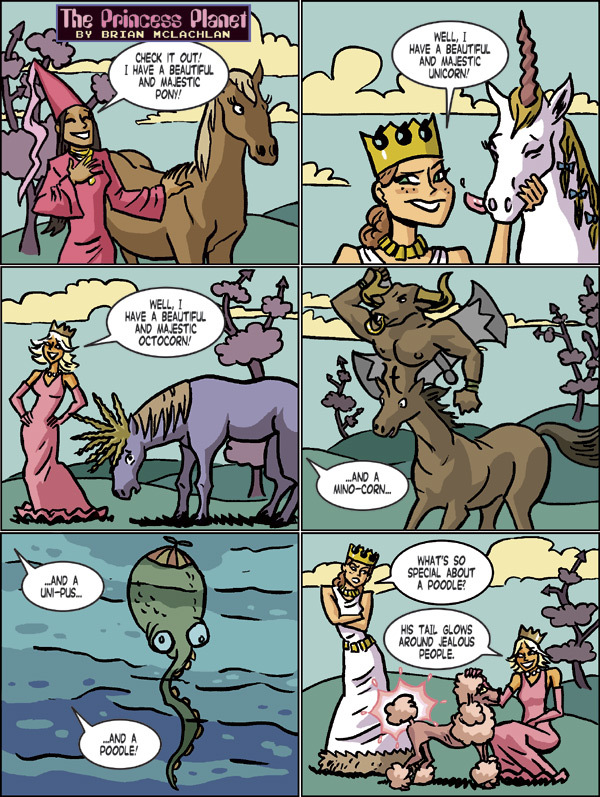 Maybe all unicorns start as octocorns and just get sick of carrying all those horns around? wait you made the octocorns head droop because of the wait, but the mino-corn is perfectly fine? Haha, that’s hilarious. Cute too. I just wrote an article about unicorns which i thought was funny. But comics are always better, i think. Ayway, nice work…and great ideas! Haha, funny, as always! Great work Brian! 8 H0RNZ? TH@TZ @L0T 0F M@G1C!!!!!!!!!11!!!!!!0N3!!!!! !